Sometimes, as a small business owner, it makes more sense for you to run your own Google Adwords and other Pay Per Click advertising campaigns for your own small business. There are, however, other times when hiring an agency for Google Adwords management can get you much better results. Very few agencies can replace the intricate business knowledge of those, like you, who work in that company every day. But they often have an outside perspective that greatly enhances what the small business owner has been doing for so long. So bringing in someone from the outside can have a turbo-charge effect on an existing Google Adwords campaign. Here are some of the ways that an agency can skyrocket your success by taking over your Google Adwords management. If the agency has experience in your existing industry, they have a wealth of market knowledge which you probably never had, since you worked alone on your own company. They are familiar with common conversion rates, effective offers that get conversions, and sometimes can be intimately familiar with the struggles and strategies of your competitors. Although they would never give away any secrets, their wider, and deeper perspective of the marketplace can be invaluable to you. This keeps you from having to figure things out on a trial and error basis and can give you the execution you need to know that your adwords campaign is performing normally, or if huge changes are needed right away. Sometimes, when you’ve run your own company’s campaign for a long time, you can get into ruts and end up at what seems like a dead-end to you, with no new ideas to try. An Agency can bring new ideas and also different ways of thinking. This can invigorate a stale campaign, and create a breakthrough to new levels of success. 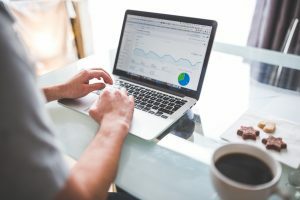 Often, a a Google Adwords campaign needs updated or improved landing pages, new website program coding or social media coordination, combined with other sophisticated SEO Techniques. Without these more advanced digital marketing skills, an adwords campaign can suffer. You might be great at knowing your keywords, and what specific bid ranges to shoot for, but without advanced website techniques to move in coordination with your campaigns, you can sometimes fail to launch. You can hire a bunch of freelancers to handle that, and this can work. But there’s nothing like having all the skills you need no matter what, while still dealing with one person – your agency’s rep.
Outsourcing this expertise to agencies can be a stable solution here, and can even save you money in salary you’d have to pay for someone full time. You can avoid all kinds of problems, and score all kinds of benefits by outsourcing your adwords campaign management to an agency. Not all situations fit. But most do. We can perform a no-obligation, free evaluation of your existing Google Adwords campaign. Give us a call to set up a time.